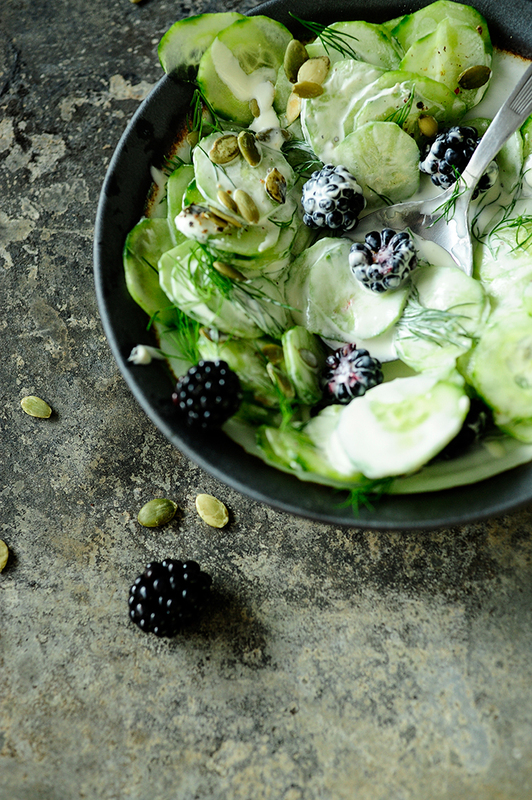 The perfect cucumber fall salad with blackberries, roasted pumpkin seeds and dill. Drizzled with sour cream vinaigrette. This cucumber salad is tasty and ideal for your meat and fish dishes. Although it’s perfect for lunch with a slice of bread. Toast the pumpkin seeds for a few minutes in a small skillet over medium heat, while shaking often. Peel the cucumber and cut into thin slices. 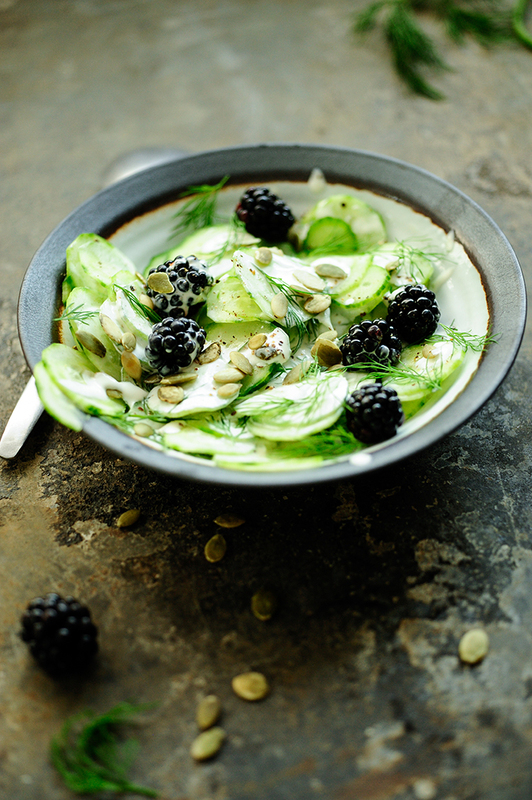 Place into a bowl, add the blackberries and dill. Whisk the sour cream with oil, vinegar and honey, season with salt and pepper. Pour the sauce over the cucumbers and sprinkle with pumpkin seeds. Combine all the ingredients together. Enjoy!